True Wireless – SignalFire’s wireless system requires no external power for either the wireless system or the pressure sensors. 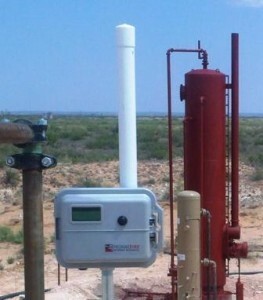 Both are powered either by internal batteries or a dedicated solar system designed to work with the SignalFire System. Intrinsically Safe Operation – Both the SignalFire Sentinel Series and the Hazardous Location Multi Input system are rated for Class 1 Division 1 operation. Intrinsically Safe Battery Packs can be changed in the classified zone without a work ticket. SignalFire’s Sentinel Solar System also carries a Class 1 Division 1 rating and is used for applications that have power requirements not well served by primary batteries. Cost Effective – An installed SignalFire wireless system is significantly less expensive that an equivalent wired system – particularly if trenching is required. Multiple Solutions – Tubing and Casing pressures can be done with either the SignalFire Sentinel series which minimizes wiring or it can be done with the Hazardous Location Multi Input unit which can accept inputs from multiple sensors and comes with an optional display. 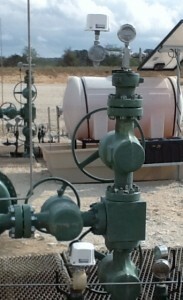 SignalFire Telemetry is the developer of the SignalFire Telemetry System, an innovative long range mesh networking technology specifically designed for challenging, large-scale environments characterizing industries such as oil and gas, agriculture, forestry, water systems, and public infrastructure. Unlike other systems the SignalFire System is an Open Architecture that permits customers to integrate the sensors and actuators of their choice rather than the ones chosen by their wireless vendors. Many SignalFire Systems are rated Class 1 Div. 1 and can power sensors from internal batteries or Class 1 Div. 1 solar systems.